Verge Collection say a big fat 'hello' to 2018 with the release of Feelin' Old - the opening track to their upcoming debut album Flaneur. 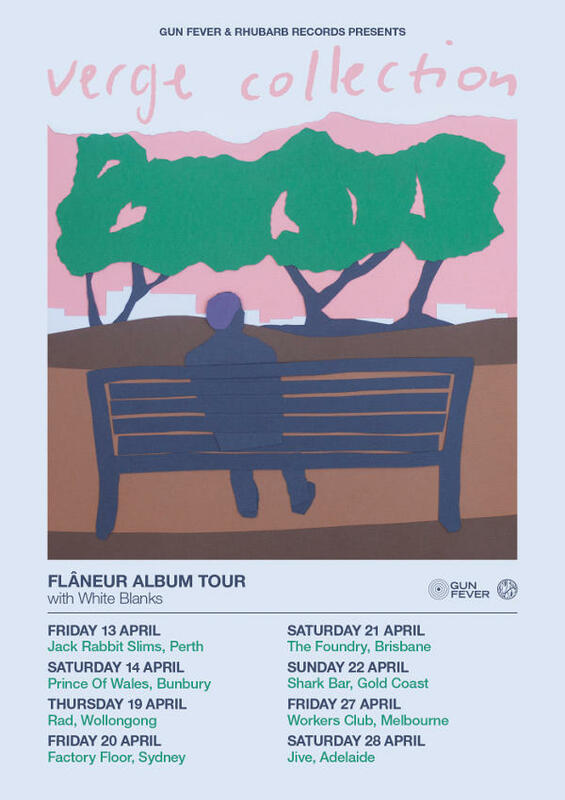 Celebrating the album's release, the Perth based four-piece have also this week announced their biggest tour to date, taking their working class poetry and suburban pop-narratives across the country in April where they'll be joined by Wollongong's White Blanks at all shows. With the same production team behind their 2016 triple j mini hit Our Place, Flaneur features ten new tracks including For The Story, So Vain and brand new single Feelin' Old, which finds frontman and songwriter Ben Arnold musing on the great realisation of mortality. "Knowing that you will eventually disappear one day really forces you to enjoy as much life as possible... it changes your perspective on everything." Enjoying life is something the Vergies' did big-time last year, entering 2018 fresh from massive shows with the likes of The Wombats, Skegss & Bleeding Knees Club. If ticket sales for their sold out For The Story Tour last year are anything to go by, fans are urged to snap up tickets on this run of dates quickly, as well as pre-orders for Flaneur 12" vinyl/merch packs via Rhubarb Records.